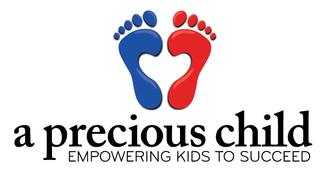 A Precious Child Volunteers: Saturday Volunteering - Every Second and Third Saturday of the Month! Saturday Volunteering - Every Second and Third Saturday of the Month! We learned through your feedback that you wanted weekend volunteer opportunities. In return, we are opening up the Resource Center on the second and third Saturday of each month! Volunteers will help to sort and organize our community donations, preparing them for children and families in need. Lead Volunteers or Staff Members will facilitate these openings, providing a tour of our facility and instructions! You must sign-up to save your spot, as sign-ups will be limited. If we do not have at minimum 10 sign-ups by the Friday before we will cancel the Saturday date. Each Saturday is from 9:00am-12:00pm at our NEW LOCATION: 7051 W. 118th Avenue Broomfield, CO 80020. The Volunteer Center is located at Door 6.